Ice dams are one of the biggest problems homeowners in Northeast Ohio face, yet they can easily be prevented with a little forethought. Making sure your home has the appropriate amount of insulation, and identifying and correcting any air leaks, can help you to prevent the damage from ice dams. Grab a ladder, or call a professional, to inspect your roof for any damaged, loose or missing shingles that can allow water or melting snow to infiltrate. Have a roofing professional check the flashing and seals around the chimney and vent stacks. Clear away any debris on the roof that can trap and hold moisture. Consider having your windows replaced, or make sure that any gaps around the frames between the siding and the windows have an adequate amount of silicone caulk. Make sure your gutters are clean and free flowing. Clogged gutters can cause ice dams. If you’re tired of biannual gutter cleaning, consider having a professional install a quality gutter guard. Drain your exterior water pipes and make sure all faucets have been turned off. Coil and store your hoses and turn the shut-off valve inside your home to the “off” position prior to draining. This small step will prevent your pipes from freezing when the temperature drops. Stock up on winter essentials like rock salt and a good quality shovel. Make sure the gas can is filled with gasoline for your snow blower. There’s nothing worse that being caught during the first blizzard without the essentials at hand. You’ll be running to the store like everyone else who didn’t prepare properly, and the chances of being able to find what you need dramatically decrease. 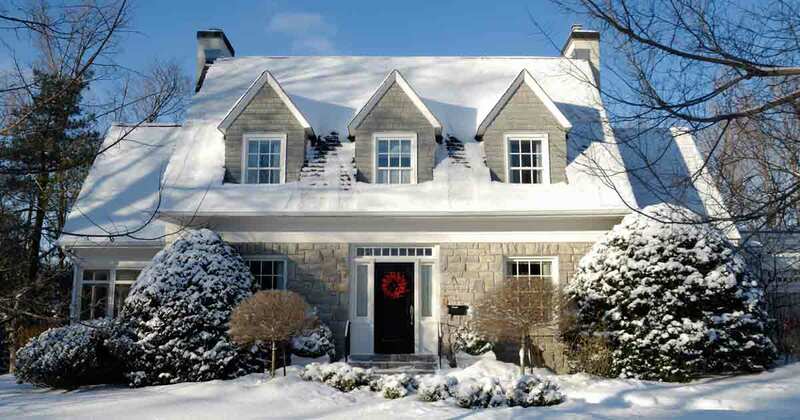 Universal Windows Direct offers a number of ways to prepare and improve your home for winter. Call 1-800-TILT-In (984-5846) to schedule an in-home appointment. Click here for a price quote on your next project.